Very excited to tell you guys about today's FOTD. This striped tunic (available here at Bikini Luxe) is currently on sale for $25.99 - originally $31. It's seriously one of THE most comfortable tops I've ever worn. It's super soft and versatile. You can wear it to work and look tres chic or bum around the house and netflix it up all day, haha. I may or may not have done both - hashtag don't judge me. ANYWHO, it's made of cotton, and as you can see, it has a round neck. OH, and Bikini Luxe offers free US shipping. 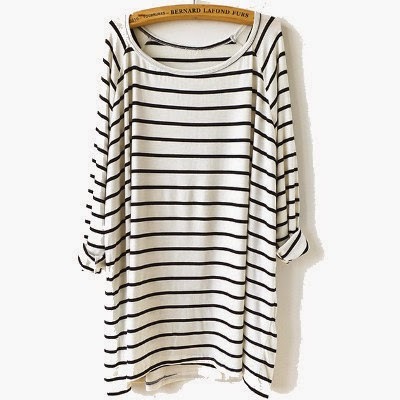 I feel like every woman should own an oversized striped top. I was actually lookin' for a flattering version myself. Lucky for me, BL sent me this fab piece to review, and now I'm here tellin' you guys to cop one for yourself. This piece is perfect for all season - I'm thinkin' leggings and boots in the Fall/Winter and sandals and fab statement jewelry in the Spring/Summer. 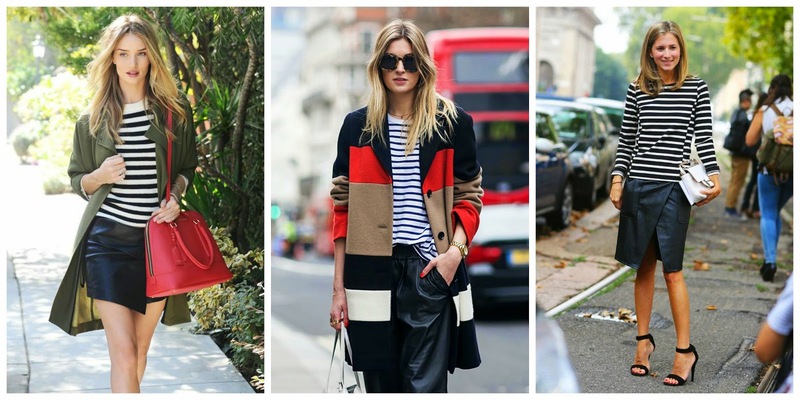 If you're still not convinced, scroll down below for some serious stripe inspo. OH, and of course, just to remind y'all, this is NOT a sponsored post, and I'm not makin' any commission whatsoever. As promised, here's striped inspo for y'all - images jacked from Pinterest. How do you guys feel about stripes? Are they are do or a don't? 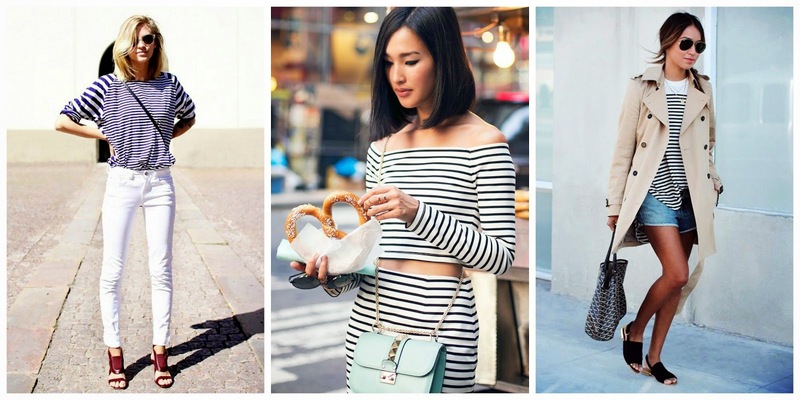 great find...stripes are after all such a timeless print. Love stripes so much !